I know this is a film review site rather than a travel blog but take my advice anyway – if you ever go to Berlin, don’t pay a local €300 to take you on a tour of Germany’s forgotten complex of underground bunkers. This might be hard to believe but it turns out it’s actually not that safe. Despite this, that’s exactly what four young tourists decide to do in Urban Explorers. Together with their tour guide Kris, they begin a tour of the abandoned labyrinthine passageways and tunnels lying in decay underneath modern Berlin. As you’d expect, this being a horror a film and all, things don’t go too well. The odd thing about this film is it throws a lot of red herrings your way throughout. Be prepared to forget about a lot of things that occur in the first half of the film because, ultimately, they’re never seen or heard of again. 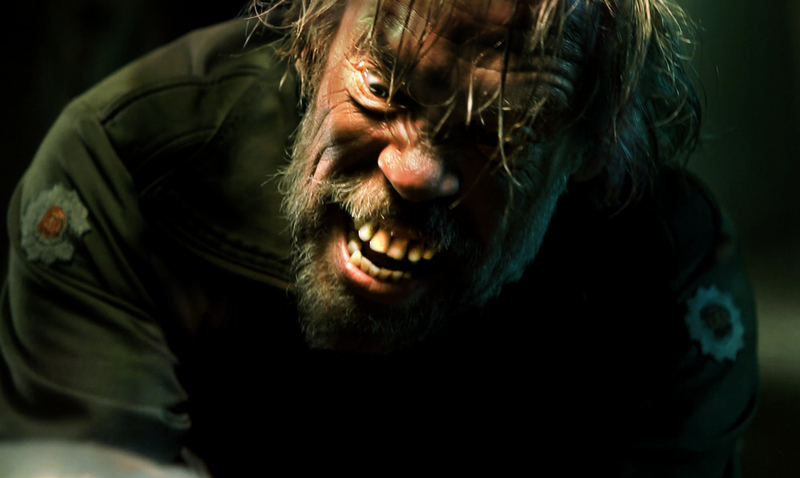 Take the scene early on where the group encounter a trio of nasty chaps with a vicious dog. After a tense encounter they leave, never to reappear. Same goes with the impressive story Kris tells the group about Hitler’s obsession with UFOs, and his desire to build an army of super soldiers, ideas that are given a lengthy monologue as if to suggest that’s what’ll be turning up later, but never do. And then there’s a pointless lesbian relationship that begins to form between two characters, shortly before they leave to get help after an “incident” and don’t return. That’s not to say Urban Explorers is a bad film, though. Thankfully, after this initial 40 minutes or so of random ideas, encounters and plot points, the proper conflict really take shape and things start to get interesting. 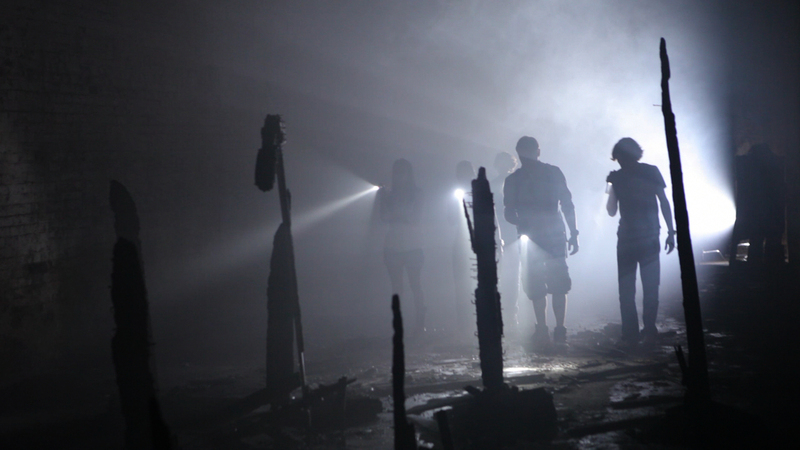 A word of warning – though it doesn’t seem like it at first, Urban Explorers does eventually become a fairly gory film. It never quite manages to reach the notorious depths of Hostel or the like and the majority of the more gruesome actions happen off-camera but one scene in particular near the end, in which (without going into too much detail) a shirtless man has his “other shirt” removed and pulled over his head in the goriest wedgie imaginable, will have anyone but the most bloodthirsty gorehound wincing. Parts of it still fall into typical annoying horror clichés. When the eventual bad guy is revealed, he doesn’t seem to ever die despite being attacked in ways that would surely kill anyone. There’s also a lot of annoying screaming which, while understandable given the circumstances, becomes intensely irritating over a fifteen-minute period. That said, Urban Explorers is still a good deal better than many of the Hostel and Descent clones out there. Don’t be fooled by its struggle to find an identity early on (and while we’re at it, don’t be fooled by the prominent Nazi logo during the opening titles), because once it finally gets going it’s a serviceable enough horror with a couple of original little ideas. 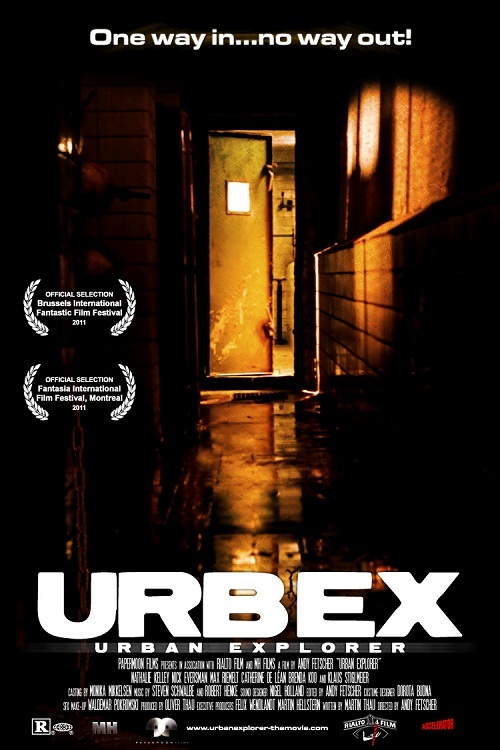 Urban Explorers just came out on DVD and Blu-ray in the UK. You can get the DVD here and the Blu-ray here.